We provide Sarpgandha Seeds & Sarpgandha plants that are also popular as Rauvolfia serpentina among the customers. 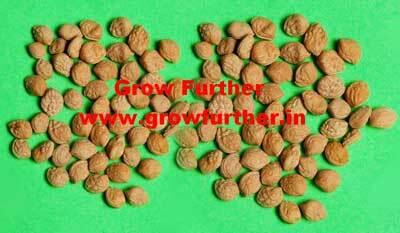 We also provide our assistance in cultivation and marketing of dry roots and Sarpgandha Seeds. We are one of the prominent Sarpgandha Seeds Suppliers who take care of consumer’s convenience by delivering Sarpgandha Seeds within the stipulated timeframe. Every Quantity Supplied – We supply Sarpagandha plants & Sarpagandha seeds in every quantity whether it is a small quantity or bulk quantity. Material is supplied all over India by courier,railways & airways as per your order. Warning – If you want to buy Sarpagandha seeds or Sarpagandha plants, beware of the people cheating buyers in the name of Rauvolfia Serpentina. People who are here to befool sell only & only Rauvolfia Tetraphylla & you are dumped on the same day when you buy this. Therefore,we only supply Plants & Seeds of Raovolfia Serpentina variety. Returns/Crop : Approximately Rs. 4,00,000/acre. Nutrients. All the details are forwarded as per your requirement.